And it will cost around the same as a Golf. Among all of the electric concept vehicles released at the 2019 Geneva Motor Show, the Volkswagen ID Buggy Concept is probably our favorite. VW has brought back the iconic Meyers Manx as a futuristic electric concept with a 62kWh lithium-ion battery and a rear-mounted electric motor producing 201 horsepower and 228 lb-ft of torque. The concept has an estimated range of 155 miles on the WLTP cycle, a 0-60 time of 7.2 seconds, and an electronically limited top speed of 99 mph. We can't wait to have a go in it but sadly, the ID Buggy is still a concept. Luckily, there won't be too long of a wait to drive the car because a VW designer Klaus Bischoff has confirmed to CarBuzz that the ID Buggy will reach production in just two years. Bischoff says the Buggy will be built using a third party's production facility. 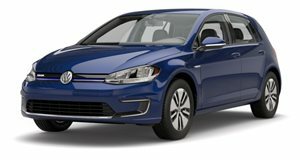 VW is currently in talks with e.GO - a German manufacturer of electric vehicles - who would build the Buggy in in a limited-production capacity. This will not be a mass-market vehicle, meaning it won't be available in every country around the world. Good news for all of the American enthusiasts out there, the US has been picked out as one of the Buggy's key markets. The US was one of the most important markets for the original Myers Manx, so it was a no brainer as a destination for the new car. Since the design of the Buggy is so simple, both on the exterior and interior, it won't be too difficult to put it into production. Bischoff says the Buggy "will be a toy for everybody" and therefore won't be much more expensive than a Golf, which currently starts at $21,845. The concept shown in Geneva has no doors or roof but a fabric roof can be installed as an optional extra. Buyers will also be able to add all-wheel-drive as an option with an additional electric motor on the front axle but the base car will be rear-wheel-drive. The ID Buggy marks the first in what may be a series of fun electric vehicles from VW. Bischoff says it has the potential to build other cool, low-production models. VW boss Herbert Diess even said: "We thought of doing something like the Karmann Ghia, but we decided on the buggy - it’s a really emotional Volkswagen product."